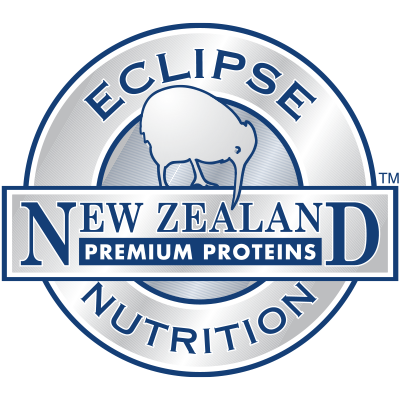 Eclipse Premium Whey Protein is made in New Zealand from the finest local and imported ingredients to give you nothing but the best value for money. 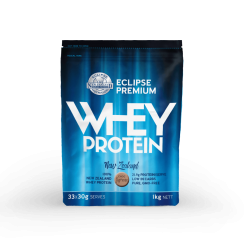 Whatever sport or exercise programme you enjoy, protein is essential for the maintenance and development of cells in the body. Protein accelerates recovery after strenuous activity and is essential for muscle growth, and repairing the damage from training and physical activity. 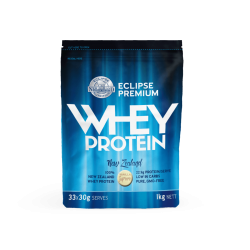 Whey Protein Concentrate contains properties which may help strengthen and defend the immune system against disease and infection.